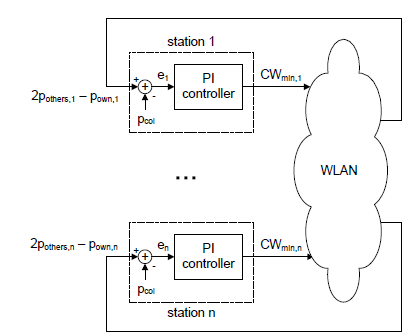 The optimal configuration of the contention parameters of a WLAN depends on the network conditions in terms of number of stations and the traffic they generate. Following this observation, a considerable effort in the literature has been devoted to the design of distributed algorithms that optimally configure the WLAN parameters based on current conditions. In this paper we propose a novel algorithm that, in contrast to previous proposals which are mostly based on heuristics, is sustained by mathematical foundations from multivariable control theory. A key advantage of the algorithm over existing approaches is that it is compliant with the 802.11 standard and can be implemented with current wireless cards without introducing any changes into the hardware or firmware. 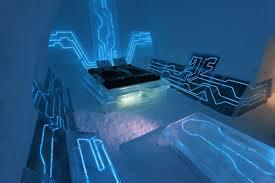 We study the performance of our proposal by means of theoretical analysis, simulations and a real implementation. Results show that the algorithm substantially outperforms previous approaches in terms of throughput and delay. • The proposed algorithm is sustained by mathematical foundations from the multivariable control theory field that guarantee convergence and stability while ensuring a quick reaction to changes. In contrast, most of the previous proposals are based on heuristics that lack these foundations. • Our mechanism is standard-compliant and can be implemented with existing hardware. In contrast, the existing proposals change the 802.11 mechanism, which introduces additional complexity and requires modifying the hardware and/or firmware of existing wireless cards. • In contrast to all previous proposals, which modify the contention parameters of all stations upon congestion, our algorithm only acts on those stations that are contributing to congestion; as a result, it provides stations that are not contributing to congestion with a better delay performance.